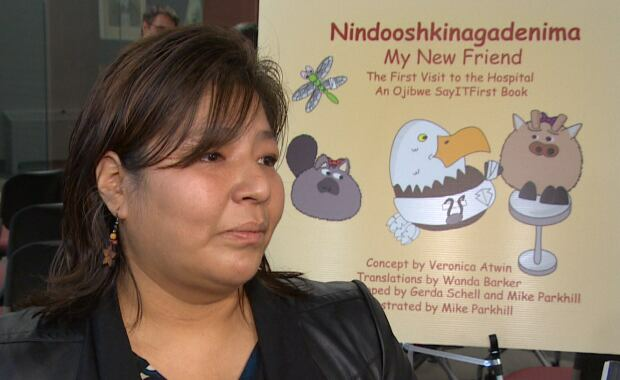 My New Friend was developed by the Children’s Hospital Foundation of Manitoba to help Indigenous children understand their fears and anxieties about going to the hospital. The book follows Dolly the deer, from a remote community in northern Manitoba, as she goes on her first plane ride and arrives in the busy city so doctors can treat her broken hoof. Between a third and a quarter of all children treated at the Children’s Hospital in Winnipeg are Métis, Inuit or First Nations, said Dr. Celia Rodd, a pediatric endocrinologist at the hospital. “You can imagine that children who live in the Far North … [where they] don’t have any tall buildings, have never been on a plane and that it’s very concerning, that they come in quite anxious. They don’t know what to expect,” she said. The book will help kids understand what a hospital visit is going to be like, but it also promotes Indigenous languages, she said. Pediatricians play an important role healing sick children, but also in health prevention, and literacy is an important part of that, Rodd said. Parents trust their pediatrician’s advice to read with their kids, but when it comes to books in Indigenous languages, there are fewer options, she said. Best-selling Canadian children’s author and illustrator Mike Parkhill was asked to collaborate in the book’s creation. “[I] thought, ‘Here’s a real need.’ I just don’t want to do books; I want to do books that are going to be used,” Parkhill said. Parkhill, who left his job as an executive at Microsoft Canada in 2009 to work full-time preserving Indigenous languages, said the work has wide-ranging benefits. “It can help reduce suicide rates, gang activity, substance abuse and truancy, and that should be important to every Canadian,” he said. 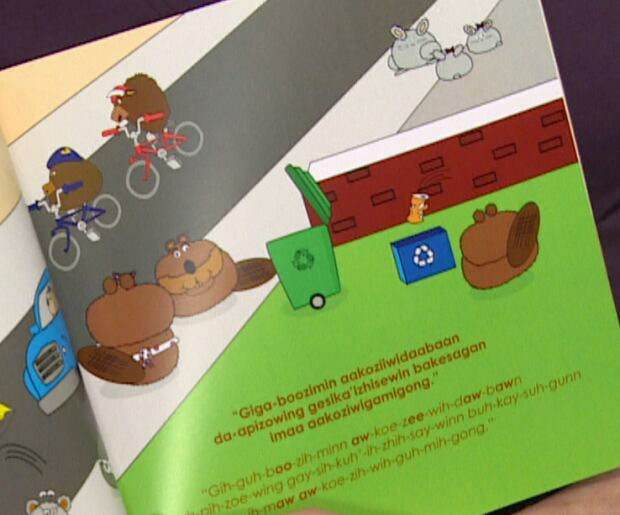 He contacted people within the health region and at the hospital to find out the most important messages to get across in the book, and he collaborated with Indigenous community members to tell a good and relevant story that kids will want to read. Parkhill then worked out some illustrations and got their approval from his target audience — a group of four- and five-year-olds. Parkhill also worked with Manitoban translators to have the book translated in three languages: Cree, Oji-Cree and Ojibwe. There are plans to publish in even more languages. Parkhill’s time working in technology was also incorporated into the book. There is an accompanying app that allows parents to read along with their kids, even if they don’t know the language well themselves. Marsha Blacksmith from Cross Lake, about 500 kilometres north of Winnipeg, was excited to get on board with the project. As a teacher for more than 10 years, she sees the difference that knowing a language can make every day. “Language is peace. It’s about love. It’s a blessing to have that language in them, embedded within them, instilled back in their lives,” she said. She quickly got to work translating the story of Dolly the deer into Swampy Cree. “This is a good book. It’s funny, too. It will make children laugh,” she said. About 4,000 copies of the book are being printed.